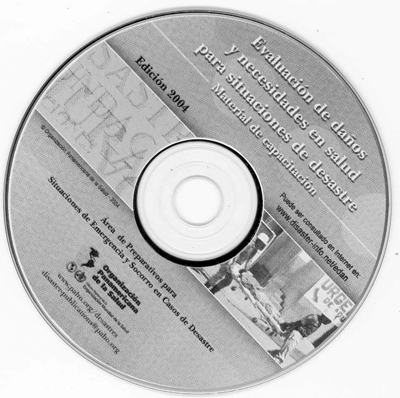 This manual is the result of a long process in which a number of experts in the health sector from various Andean countries participated. 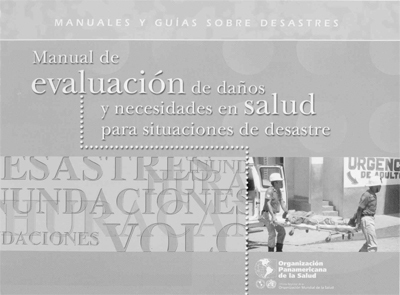 It is intended to be a technical tool to be used by evaluation team and the health community at large in disaster situations, by adapting it to local realities and the types of event. The manual includes basic concepts of risk management, the main responsibilities of the health sector and some characteristics of health assessments conducted in the areas of epidemiological surveillance, basic sanitation and health infrastructure. The most valuable practical part is represented by the forms proposed to carry out rapid and preliminary assessments of sanitary buildings and complementary evaluations in the three aforementioned areas. Finally, the manual makes reference to issues such as the "situation room" and other tools needed to improve decision-making processes among health authorities.